We will discuss how to work on behaviors that interfere with the client's or therapist's willingness and ability to engage in treatment and how to target them in treatment by utilizing dialectical strategies and incorporating DBT skills to address. Specific behaviors include: avoidance, not engaging in session, missing therapy appointments, and not completing assignments/following treatment recommendation. Identify behaviors that are interfering with therapy, including those of the therapist. Apply DBT strategies and skills to clients' behaviors therapy interfering behaviors. Describe DBT strategies and skills to address therapy interfering behaviors. Deadline to register is March 13th! Check out our flyer and forward it to your colleagues! If you prefer to pay by check, check must be postmarked by March 13th. Please include your email address so that we can send you a confirmation email 2 days prior to the event. Lynn Farrell is a Licensed Marriage and Family Therapist who serves as Clinical Director for The Center for Evidence Based Treatment, a private practice in Tustin, California. 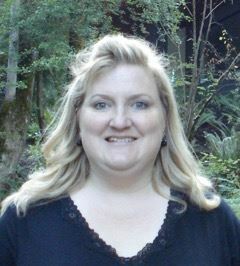 She provides adherent Dialectical Behavior Therapy, including individual and skills groups. She is extensively trained in DBT by Behavioral Tech and Treatment Implementation Collaborative. She was also trained in the Dialectical Behavior Therapy- Prolonged Exposure Protocol by Melanie Harned, the protocol developer. As an associate, she was trained and supervised by Tara Myers, a Linehan Board Certified Clinician and Founder of The Center for Evidence Based Treatment. She obtained her master’s degree in Marriage and Family Therapy from Chapman University. She also holds a master’s degree in Special Education from Azusa Pacific University, and previously worked as a special education teacher in the Irvine Unified School District.